Used sparingly to perfume pulaos, marinate meat and flavour dishes for special occasions, earthy and sweet cinnamon was exported around the world from Egypt as far back as 2000 BC. Although cinnamon was thought to originate in Egypt, its origins are not clear. Spice traders guarded cinnamon’s true origin until the early 16th century when word got out that it was grown in countries of the Indian sub-continent – Sri Lanka, the Malabar Coast, Bangladesh and Myanmar. In fact, the quest for cinnamon was responsible for much of the world’s exploration in the 15th century. Today it is easily found, and cinnamon powder probably forms an essential part of your mother’s secret chicken masala recipe. Cinnamon is grown mostly in the Indian sub-continent. It takes great skill and craft to cultivate the delicate rolls of cinnamon. The cinnamon tree is grown for two years before being cut down to the trunk or ground level. It takes two more years before new branches shoot out to replace the original tree. The skilled farmers with delicate hands then step in to harvest the cinnamon, after which its branches are cut off and soaked in water. Then the outer bark is peeled back carefully to reveal the still moist inner bark. This precious bark is then carefully stripped off and sun dried. Once dried, they are expertly rolled into distinct rolls or quills. 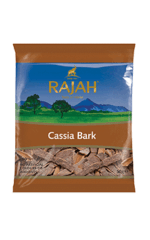 The thinner the bark, the better the quality of cinnamon. Some of these are used whole and others are ground into a fine aromatic powder. Store rolls of cinnamon and cinnamon powder separately in a cool, dark space, away from heat and sunlight, in tightly sealed glass spice containers. It is best to add khade masale (whole spices) such as whole cinnamon to hot oil at the start of your recipe. Due to its strong flavour, you will only need an inch or two of cinnamon to infuse the entire dish. 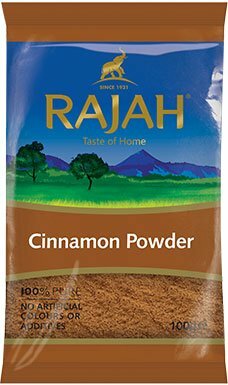 Powdered cinnamon is best added later on since it loses its flavour quicker in a slow cooked recipe. The smell of cinnamon stimulates the senses and calms the nerves. This sweet woody spice is known as an antiseptic because of its anti-viral properties. Many Indian families use cinnamon in their gharelu nuskhas (home remedies) for diabetes, digestion and common cold.